The Chocolate trail, to sum it up it was like going on a treasure hunt around downtown Stratford and town of St. Mary's! It was exciting and fun for all of us, and gave us a chance to discover and visit local businesses and speciality stores. Most of the twenty seven stops of the trail is close to each other. 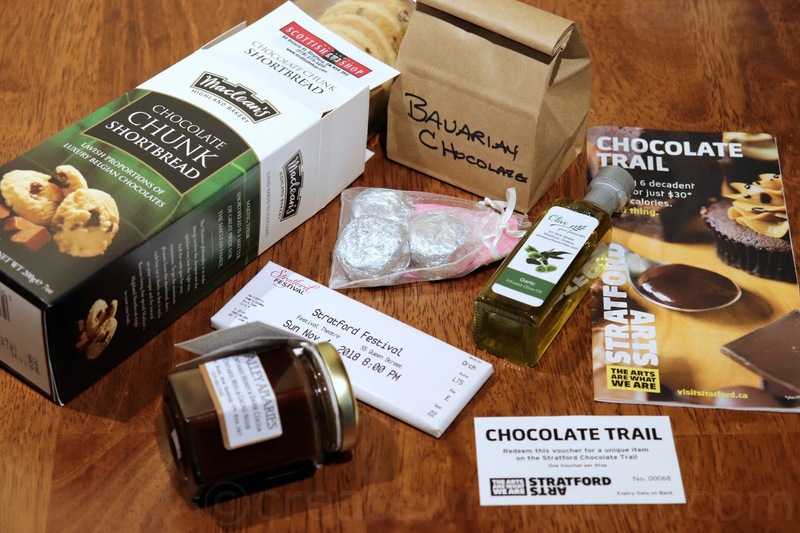 To be part of this trail, we can purchase the chocolate trail pass for $30 at the Stratford Tourism office. This pass gives six vouchers to present at the stores and get a goodie from the store. We can enjoy this self guided tour/ trail at our own pace and need to use it within a week. 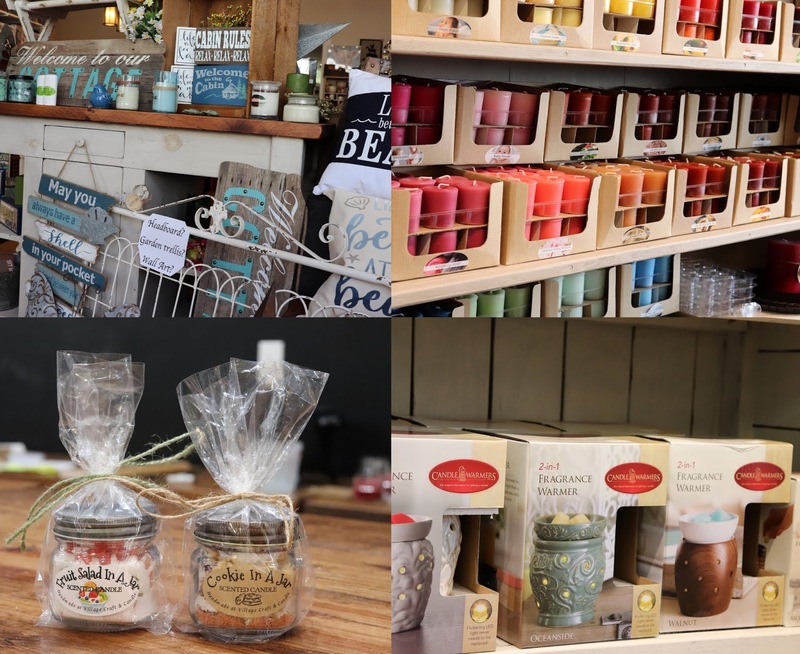 Blowes Cards and Gifts - where we enjoyed three locally made fudge. Dee Image - we checked out their minty flavoured chocolate body butter made by Essential Owl. Stratford Festival Shop - got a cool milk chocolate that looked like a theatre ticket. Treasures - They give a jar of Nith Valley Apiary's cocoa honey, a unique taste that will be enjoyed by those who love chocolate and honey. Kandy Cakes - a cake store that offers a cupcake or two mini cupcakes as part of the trail. MacLeods Scottish Shop - a box of slow baked pure butter shortbread with Belgian chocolate chunks imported from the Highlands. Buzz Stop, and To Bean or Not to Bean - offer coffee beans that we can take home and brew. 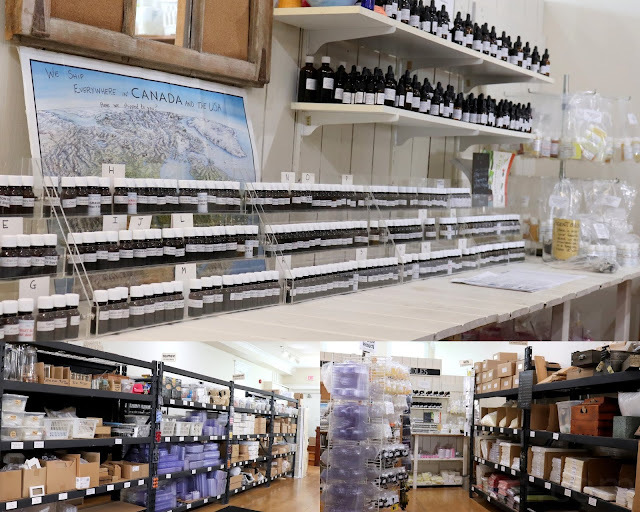 Olive Your Favourites - We can taste a variety of extra virgin olive oil and balsamic vinegar from all over the world, and bring a small bottle home. Troyer's Spices - we enjoyed this shop that carried hard to find spices and got a jar of Cocoa Nibs. Village Craft and Candle - As part of the trail they give a candle that smells like mint chocolate. 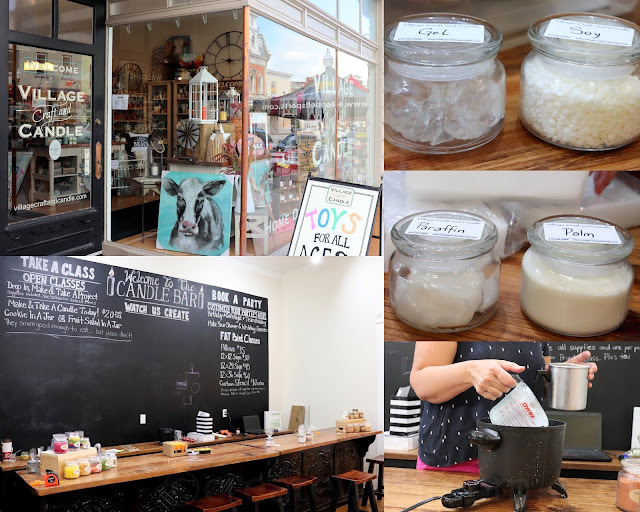 We explored a fun creative class of making candles at Village Craft and Candle. It is in the newly restored 1904 Garner building, where bits of history mingle with displays of candles and home décor. 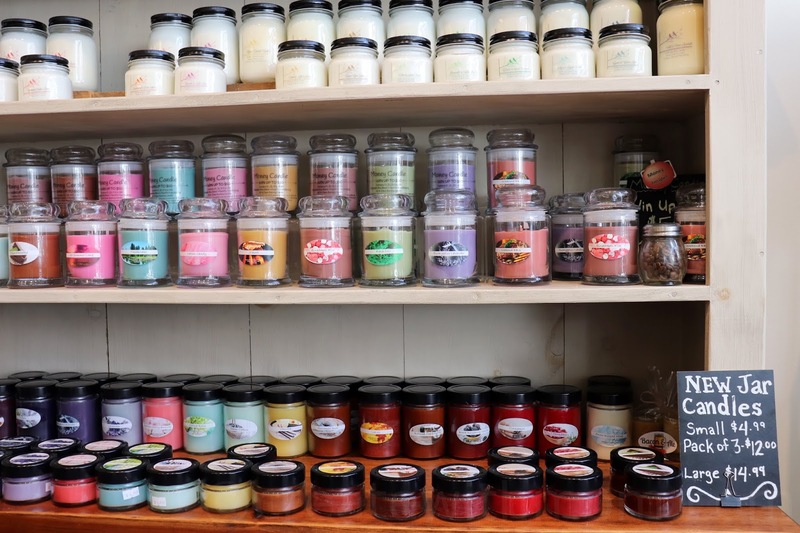 There are over 300 fragrances. 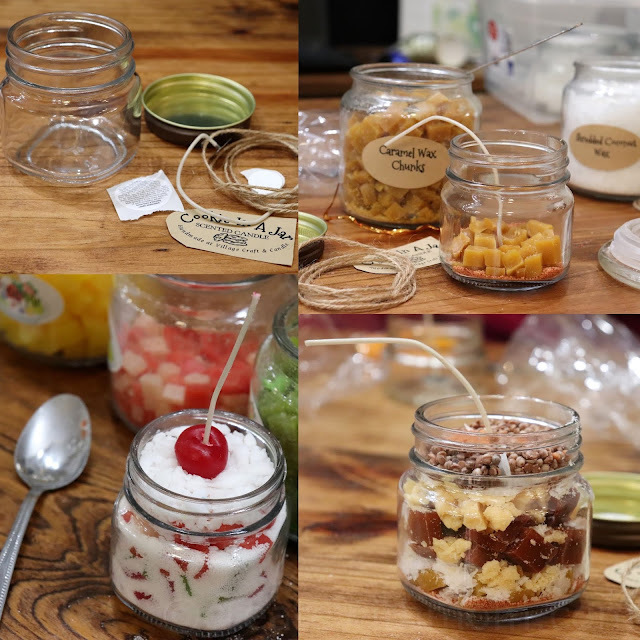 Making candles have been an intimidating craft for us, but after visiting and participating in a hands-on class to make fruit salad and cookies in a jar candles it has changed our perception; this is a hobby we can easily take up and enjoy. All the materials needed for this hobby can be bought at the store or online. Earlier this summer at the Long Point Eco Adventures apiary tour we got a chance to experience the concept of making candles by pouring melted bees wax, so we were fascinated when we got a chance to learn about different paraffin wax, scents, variety of jars and the multitude of lids that go with these jars, and about different sizes of wicks and how to place it. During our time at Village Craft and Candle, we also learned about making soap and lip balm. 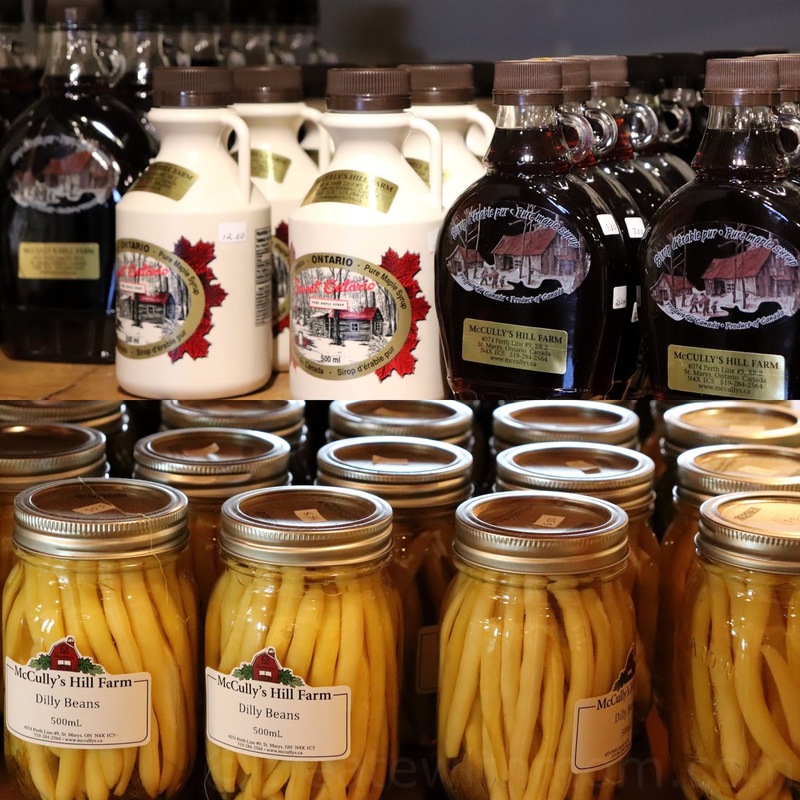 They specialize in maple products, natural meats, homemade baking, and preserves. We can purchase garden fresh produce such as corn, pumpkin, and other vegetables. There was a barn with goats that we were happy to meet. 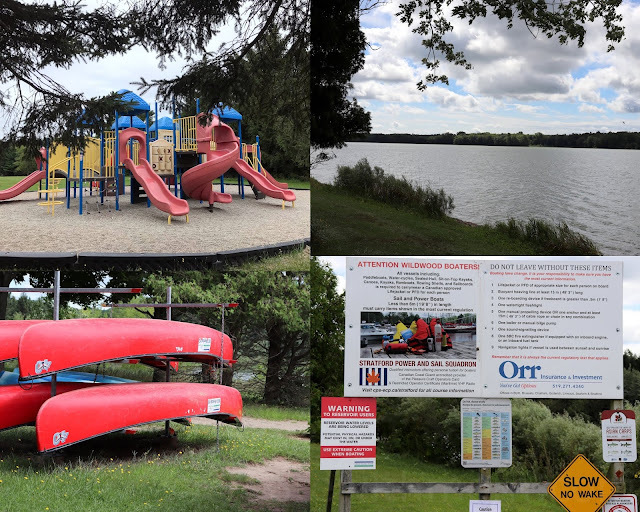 This outdoor playground for families is managed by Upper Thames River Conservation Authority. It has over 450 camp sites, including three backcountry camping experiences, and activities such as hiking, fishing, boating, and more. 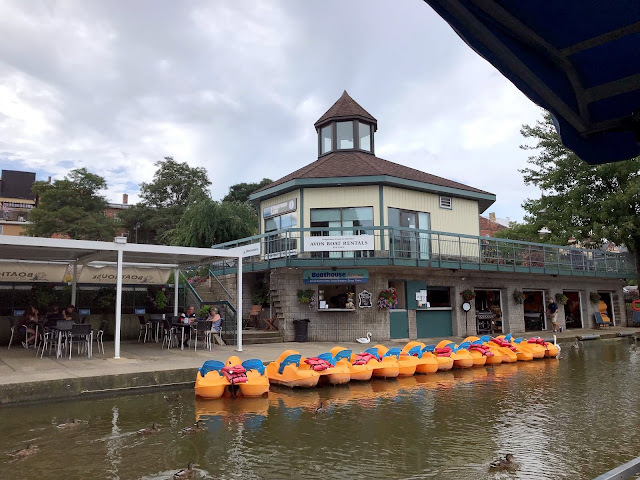 We can rent canoe, kayaks, and bikes. We enjoyed taking the leisurely ride on the Juliet III boat shaded from the sun, while enjoying the breeze from Lake Victoria. Riding the Juliet III after doing the chocolate trail was relaxing as we got to sit back, listen to instrumental music, and enjoy the view of different homes, bridges, and parks. 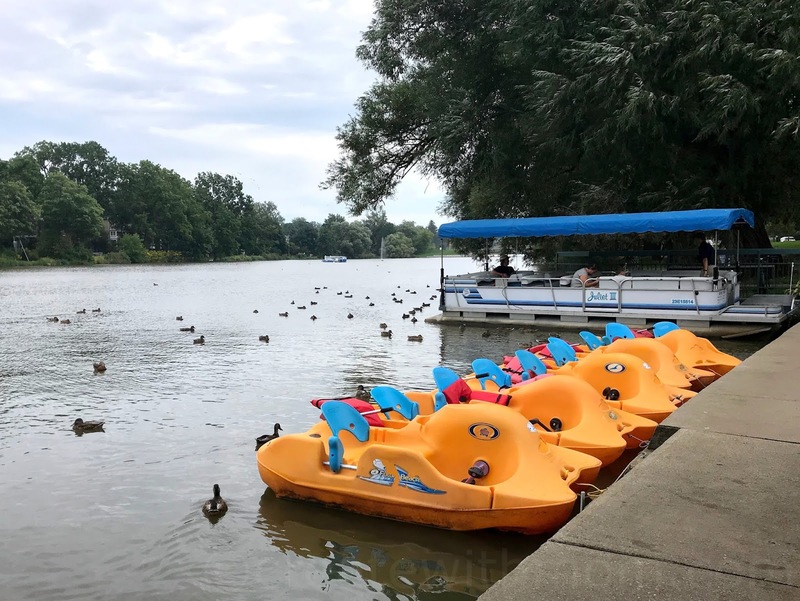 We can also rent paddle boats, canoes, kayaks, and bicycles at this location. 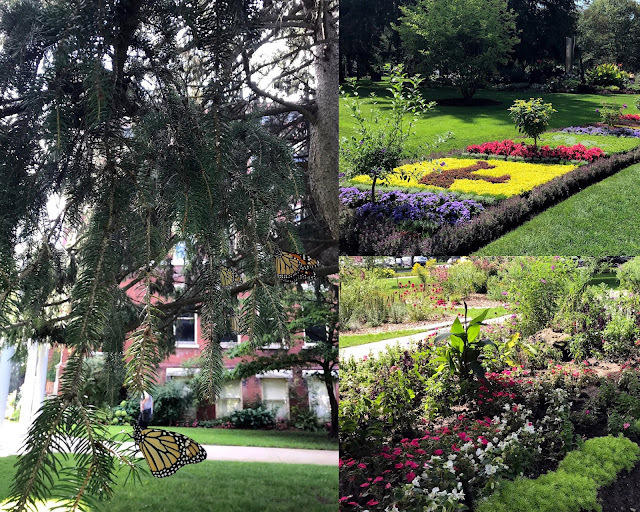 These beautiful gardens at the east exit from the park includes the Ted Blowes Memorial Pollinator garden, Confederation park, and Gallery Stratford. If you watch the episode of Amazing Race taken in Stratford, you will be able to see some of these places. Stratford and Perth County would make a wonderful place to visit with family and friends even as the season is changing for a fall getaway! So many fun things to do in Stratford. The chocolate trail looks like a lot of fun! Fun things to do there! The chocolate trail sounds amazing! That would be something that we would love to do, if only we lived closer. The chocolate trail sounds like an awesome way to explore and see the amazing stores, sounds like a great tour! This sounds like a fun day out! Sure sounds like a fun place to visit. Lots to do and love all the goodies you can buy too. A chocolate trail? Wow. Love the sounds of To Bean or Not to Bean too. This certainly looks like a place I would love to visit ! This sounds like such a fun way to spend a day! And the price is very reasonable. I wish I lived closer! This looks so lovely and would be fun to visit in the fall. I love the sound of a Chocolate Trail! 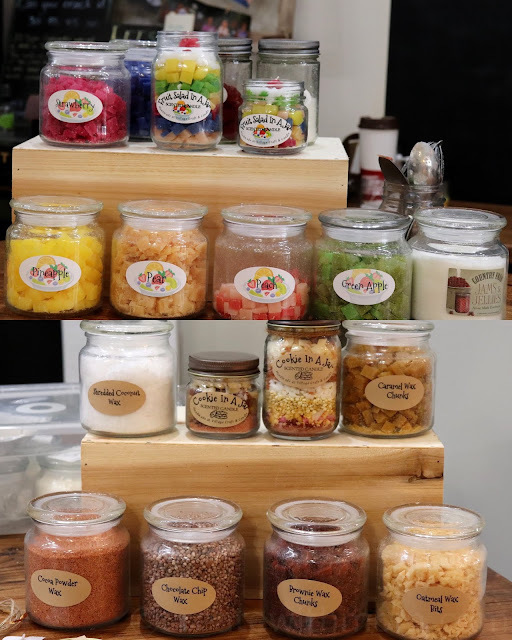 I would love to visit this place, the caramel wax is calling my name as it's my favorite scent! Wow--any excuse for chocolate eh? Those candles look good enough to eat. Looks like a lot of fun. There is so much to discover in our province. 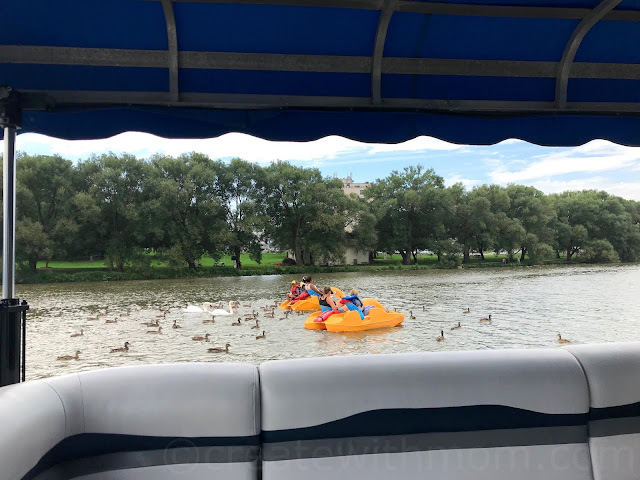 We just camp back from camping at Point Farms Provincial Park in Goderich and while we were there we went into Blyth for Harry Potter Festival. 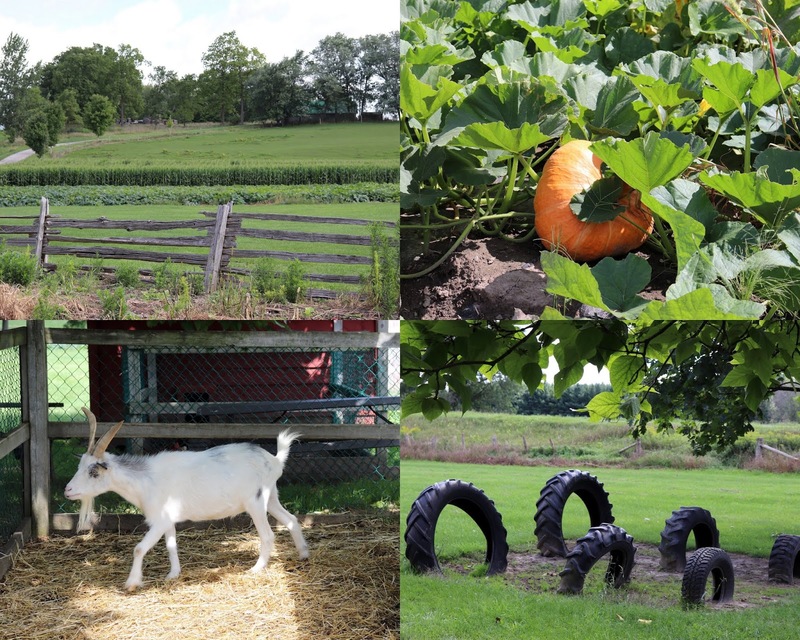 The kids had a blast and we discovered some awesome trails and little towns. Can't wait to try out Stratford some time too! wow, what a great place! so interesting! 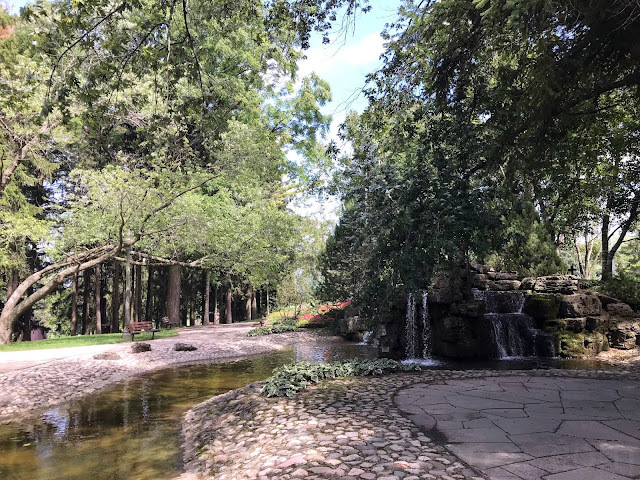 Ontario is so big and has so much to offer! I love the idea of a chocolate trail. 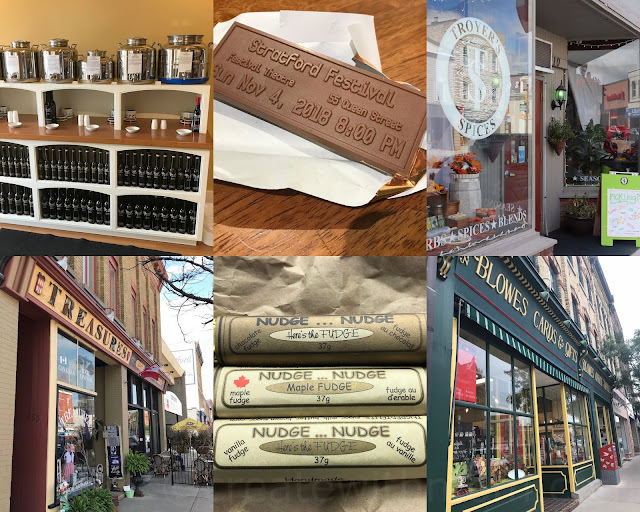 Twenty-seven stops on one chocolate trail? That's a lot of chocolate! Wow!!! This is so nice!!! This is a perfect family trip! We are going to have to explore this area again! This is an amazing tour and covers a lot of highlights in a very short period of time. Sounds amazing and something different to do, I even love the sound of it The chocolate trail!! Everything looks so beautiful and such a great place to go and visit! Looks like a lovely place to visit! My mom has been and loved it. So neat! I'd love to make a candle there.